Interestingly, when the power struggles between Rome and Constantinople were going on, a bit of lore surfaced that Andrew had actually founded the church in Constantinople! If that had been true it would have given some credence to the idea that Rome and Constantinople were equal in power, but this story seems to be sketchy. 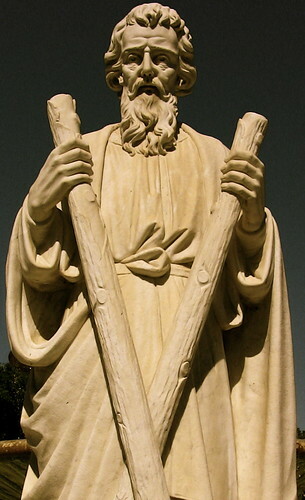 St. Andrew is to the Scottish what St. Patrick is to the Irish, although as far as we know, the saint never set a foot on the isle! There are two legends explaining this. The first is that St. Regulus had a dream that was to move the remains of St. Andrew to the far corners of the world for safe keeping. 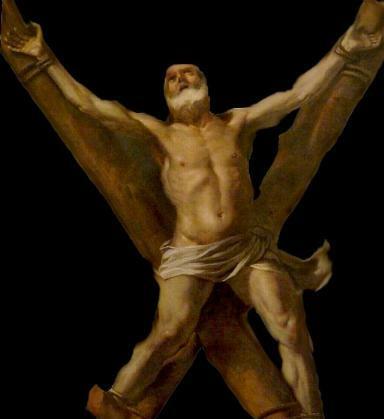 Apparently, he only got as far as the eastern shore of Scotland before he shipwrecked, and the stop where he came ashore is today's St. Andrew's. 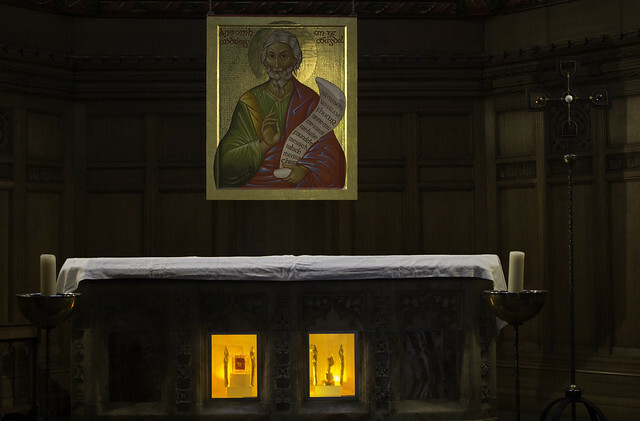 "who was a reknown collector of relics, brought the relics of St. Andrew to St. Andrews in 733. There certainly seems to have been a religious centre at St. Andrews at that time, either founded by St. Rule in the 6th century or by a Pictish King, Ungus, who reigned from 731 - 761." 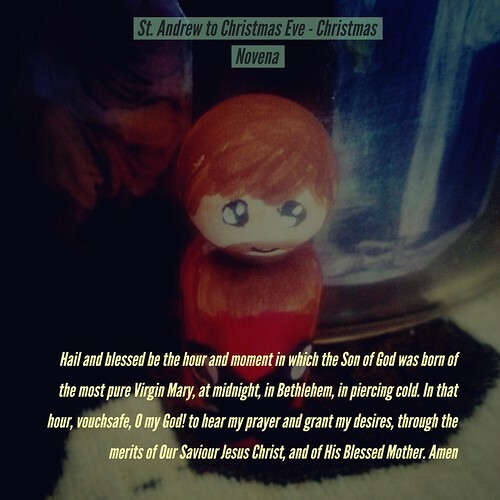 The Feast of St. Andrew sets the beginning of Advent! The first Sunday of Advent is always the Sunday closest to this feast day! 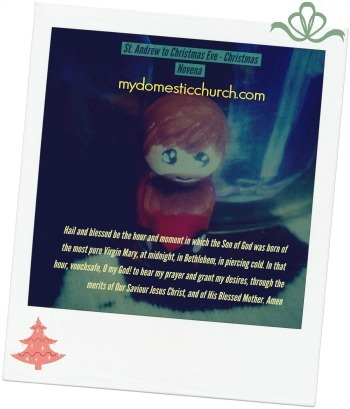 It's a great time to say the Christmas Novena! Subscribers to my newsletter can have a free printable of the prayer. Sign up here. St. Andrew was the patron of fisherman (so a fish dinner to celebrate would certainly be appropriate!) and unmarried women. There were a few neat traditions associated with that. Apparently if an unmarried woman throws her shoe at the door on St. Andrew's day, if the toe points outward, the woman will be married and out of the house within a year! For more links and info, see below! Tea Time with Scones and Bannocks. St. Andrew's connection to Scotland! Some info on St. Andrew and some fun Scottish customs. On the restoration of the hierarchy in Scotland in 1878, St Andrews and Edinburgh was made the Metropolitan See of Scotland. In 1879 Archbishop Strain received from the Archbishop of Amalfi a large portion of the shoulder of the Apostle Andrew. It was placed in a silver gilt shrine donated by the Marquess of Bute.The second relic was given by Pope Paul VI to the newly created Scottish Cardinal Gordon Joseph Gray, in St Peter’s Rome, in 1969. Cardinal Gray was the first Scottish Cardinal in four hundred years.In 1982 both relics were housed in reliquaries designed by Betty Koster and cast by George Mancini and placed in the altar to the north of the High Altar. The chapel, originally dedicated to the Sacred Heart, now serves as the National Shrine to St Andrew, successor to the Shrine destroyed in 1559. See Father's sermon for the day here. 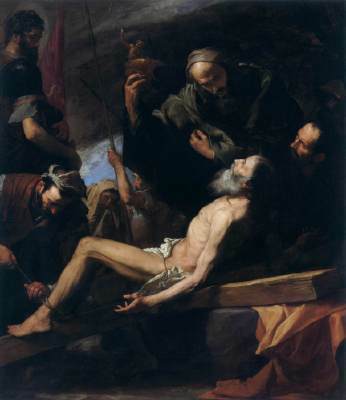 More links for St. Andrew on Diigo. thanks for the great list of resources. i look forward to browsing them throughout the day.